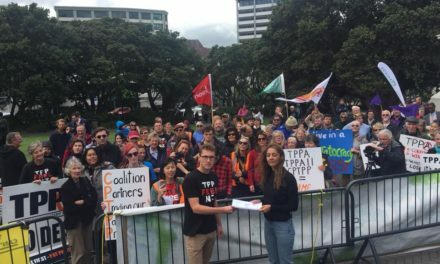 The original Trans-Pacific Partnership Agreement was signed by the 12 negotiating parties in Auckland on 4 February 2016, in the face of a massive protest led by tangata whenua. Japan and NZ completed their domestic processes to ratify (adopt) the original agreement during 2016. In January 2017 US President Trump withdrew the US’s participation from the TPPA. The 11 remaining countries met 7 times in 2017 to rescue the TPPA minus the US. Each country tabled a list of provisions in the TPPA that it wanted removed or suspended. Apparently, NZ under the National government did table a list of requests, but that remains secret. The new Labour-NZ First government, supported by Greens, only had input into these negotiations at the very end. In December 2017 in Vietnam, the TPPA 11 agreed to suspend 20 items from the original text, pending the US’s re-entry; 4 matters remained to be finalised. In January 2018 in Tokyo the TPPA 11 announced a new deal, one year to the day from Trump’s withdrawal. Canada insisted that it needed changes to protect its culture sector. Reports say it also achieved changes on automobiles, although that was not on the list. These were done through side letters that remain secret. The TPPA-11 will contain the entire old agreement. 22 of the 1000+ original provisions have been suspended, pending US re-entry, but they have not been removed. The TPPA has been rebranded the Comprehensive and Progressive Agreement on Trans-Pacific Partnership (CPTPP or TPPA-11) even though the substance is the same at the old TPPA. They intend to sign the TPPA-11 agreement in Chile on 8 March 2018. 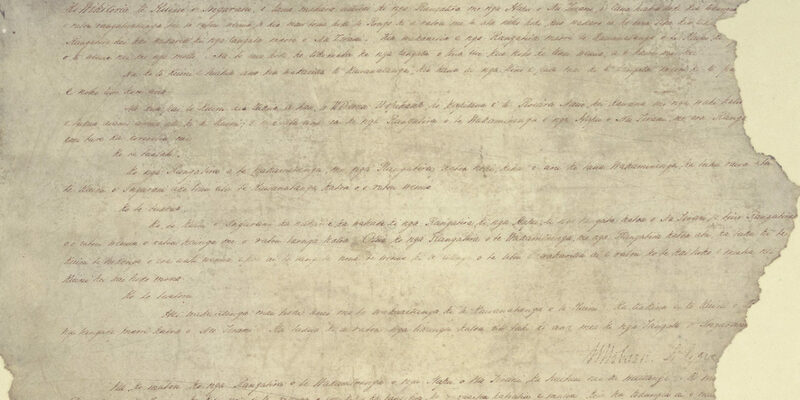 The text of what they agreed remains secret. Japanese officials say the text will not be released until after it has been signed. The National Opposition, which ran the secretive negotiations, wants the text released. In January 2018 President Trump said he would consider re-entering the TPPA, but the terms would have to be more favourable to the US than the original agreement. The process for US re-entry will require consensus. Labour says some suspended items may never be re-activated. But the US domestic political processes mean any US re-entry will inevitably require more benefits to the US, not less. The TPPA-11 will reportedly come into force after 6 of the 11 parties have ratified it by completing their domestic processes. Again, the actual text of this provision has not been released. 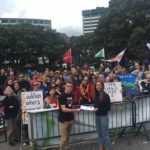 Labour, New Zealand First and the Greens all wrote dissents to the majority select committee report on the TPPA and said they would not support its ratification. Labour said the economic modelling was flawed and there must be a robust cost benefit analysis that includes impacts on jobs and on distribution, as well as a health impact assessment. Neither report has been done for the TPPA-11. Labour now claims the new TPPA-11 meets Labour’s 5 pre-conditions for change, but it does not: it provides market access for exporters (but it has no new economic analysis of net costs and benefits); it protects the Pharmac model for buying medicines (but the provisions are suspended not removed); the Treaty of Waitangi, the sovereign right to regulate and restrictions on foreign ownership of property are all protected (which they are not, see below). Winston Peters says the TPPA-11 is a very different deal from the one NZ First opposed and they will now support it. That is not true. The ISDS provisions and core protections for foreign investors that NZ First so staunchly opposed remain the same and have not even been suspended. Bew Zealand’s ratification of the ne TPPA-11 requires another round of submissions to the parliamentary select committee on which National has 4 of the 8 members, including the chair and deputy chair. If legislation is needed to implement the agreement, National has said it will vote with Labour and NZ First. The Greens remain opposed. So the parliamentary process is a foregone conclusion. The Treaty of Waitangi exception in the TPPA is a copy of one that was drafted in 2000 for the Singapore free trade agreement (FTA). The same exception has been rolled over in agreements since then, without any consultation with Māori, even though today’s agreements impose much greater restrictions on what governments can do. The Waitangi Tribunal in the TPPA claim (Wai 2522) said the Treaty exception ‘may not encompass the full extent of the Treaty relationship’ because it only covers Crown actions that give preferences to Māori, not laws or policies that apply generally but are at least partly for Treaty compliance (water, mining, fisheries). The PM said the Tribunal found the ‘exemption provides protections for the Treaty’. That is also not true. The Tribunal found no breach of Treaty principles because the exception was ‘likely’ to offer a ‘reasonable degree’ of protection for Māori. But it did not accept the Crown’s claim that ‘nothing in the TPPA will prevent the Crown from meeting its Treaty obligations to Māori’. The Tribunal was not convinced that the exception protects Crown actions from a dispute by a foreign investor, for example on water or mining. The Wai 2522 claimants made proposals for more effective protection. These have been ignored. There has been no consultation on any stronger protection. The wording of the exception hasn’t changed in other negotiations since the TPPA. Officials say that they can’t change the wording, because they tell other countries they must have this wording because it’s in all NZ’s agreements. New wording would open the text for negotiation. But New Zealand got additional new wording on UPOV 1991 at the last minute in the TPPA (see below), so it’s not true the Crown can’t demand and win different wording. Labour seems to be accepting the Crown’s advice and accepting an ‘imperfect’ Treaty protection as a trade-off for other commercial benefits it sees in these deals. The Waitangi Tribunal granted urgency to the TPPA (Wai-2522) claim, but limited its scope to whether the wording in the Treaty exception provided effective protection for Māori interests. It didn’t address other parts of the claim (eg water, mining, health). The Tribunal’s time for preparing its report was cut back because the National government pushed through the legislation to implement the TPPA; once the Bill was introduced the Tribunal had no jurisdiction. The Tribunal found there was a reasonable level of active protection in the Treaty exception, but suggested there should be consultation on better protection, and it kept oversight of the UPOV 1991 issue (below). The Crown wants the Tribunal process terminated. The claimants point to a lack of good faith consultation over TPPA-11 negotiations since the Tribunal’s report and issues not addressed in the urgent hearing remain. On 30 January 2018 the Tribunal asked the parties (basically the Crown) to say by mid-February (a) when the text of the new agreement would be available, (b) what its effect would be on the Crown’s engagement with Maori on the Plant Varieties regime and adopting UPOV 1991, (c) what issues in the TPPA claim remain live, and (d) ‘when would be the appropriate time for the Tribunal to commence inquiry into the remaining substantive claims that have been filed with respect of the TPPA? 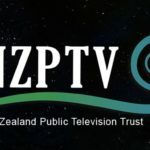 The TPPA required NZ to adopt the UPOV 1991 Convention that creates rights to claim intellectual property rights on plant varieties, which Wai 262 report and the Cabinet have recognised is inconsistent with te Tiriti. Legal arguments from the Wai-2522 claimants showed the Treaty exception would not protect a Crown decision not to adopt UPOV 1991, because the decision only applies to a ‘preference’ to Maori. Not adopting UPOV 1991 is not a preference to Maori. The Crown convinced the other TPPA countries to adopt an annex that allows NZ to either adopt UPOV 1991 or pass a domestic law equivalent to UPOV 1991 that complies with te Tiriti. But it has to do one or the other within 3 years of the TPPA coming into force. That obligation hasn’t changed in the TPPA-11. National and Labour didn’t try to have it suspended. The Waitangi Tribunal has retained oversight of this matter and is actively monitoring it. The claimants say MBIE’s consultation process is unacceptable and have set in train their own process for expert advice and consultation. 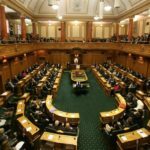 The TPPA (and earlier NZ agreements) allows foreign investors from the countries involved to challenge laws, policies and decisions of a NZ government in controversial ad hoc offshore investment tribunals (known as investor-state dispute settlement or ISDS). An ISDS tribunal can award massive damages against a government for breaching special protections the agreements give to foreign investors. The new government tried to protect NZ from ISDS in the TPPA-11, but failed. Australia signed a side-letter with NZ not to allow their investors to use ISDS against each other. But that side-letter was in the original TPPA and in other agreements. It’s not new to Labour. The new government says some other countries will sign a similar side letter, but won’t say who. Unless all the other ten countries sign side-letters, they don’t protect NZ from the risk of ISDS disputes. A provision that allowed investors to use ISDS to enforce infrastructure contracts has been suspended (not removed); but that is marginal and doesn’t change the TPPA’s special protections to foreign investors or the ISDS process through which they can enforce them. The Treaty of Waitangi exception is unlikely to protect NZ from an ISDS case over new laws to promote compliance with te Titiri. The government points to other protections for public policy measures, but those protections don’t apply to the main rules that investors rely on in ISDS disputes. The new government has instructed officials to oppose ISDS in future agreements, which is a positive move. But that doesn’t mean it will walk away if other parties insist on it. Officials are likely to advise that any new market access for agriculture is an acceptable trade-off. Trade Minister David Parker says NZ First’s policy of taxing bottled water exports would breach various international agreements because it is discriminatory. But there is a much bigger risk that foreign investors could threaten to bring an ISDS dispute if moves to resolve water claims affect their commercial interests. That reservation of the right to regulate on water does not apply to the main rules that investors rely on when they bring ISDS disputes against governments. The Treaty of Waitangi exception would not stop investors challenging such measures. There is a serious risk that the government would back away from a proposed solution to Māori rights over water if MFAT or an investor from a TPPA country, says the solution would breach NZ’s obligations. The new government is rushing through changes to the Overseas Investment Act to restrict foreign purchases of residential housing. They admit that the law would breach the TPPA if it was passed after the agreement came into force. In January 2018 the government also sought consultation with Maori over proposals to redefine sensitive land under the Overseas Investment Act to include forestry cutting rights. The separation of cutting rights from the land was a device used by the Labour government in 1988 to allow corporatisation of the forests and separation of the land from the trees so the forests could be privatised. Labour and NZ First want to restore the right of NZ, and Maori, ownership of the forests. They have to change the foreign investment law before the TPPA comes into force, because they can’t do so afterwards. The TPPA only allows the government to keep the categories that are subject to foreign investment vetting which exist when the TPPA comes into force. The TPPA text says the vetting applies to ‘sensitive land’. If the government wants to implement its election policy, it has to rush through these changes to the law. But if the TPPA enters into force the government won’t be able to change the investment law to address other failed treaty settlements, such as fisheries quotas, or policies like carbon credits for forests. Even if changes are made to allow restrictions on future foreign investors, any existing investors from TPPA countries could still bring an ISDS dispute claiming their rights have been breached by the new laws because they can’t get as much for selling their assets as they had expected. The original TPPA was negotiated in total secrecy, aside from leaks. So were the meetings after the US withdrew. National was not interested in genuine consultation with anyone, let alone recognising te tino rangatiratanga o nga iwi me nga hapu. The same secrecy continues under the new government. The Waitangi Tribunal advised the Crown to consult with Māori to make the Treaty of Waitangi exception stronger. That hasn’t happened. Labour has kept the same exception. Labour held meetings in various cities in early December and January. But this is not a good faith dialogue: they say the TPPA-11 is the best deal they can get, no further changes can be made, and they are prepared to sign it. The ‘consultation’ can’t change anything. That’s not a Treaty partnership. The new government says it wants to develop a ‘new and inclusive trade agenda’ that makes trade and investment work for Māori, small business, women, and address climate change, environment and regional development. That sounds positive. But the examples it gives are clip-ons to existing agreements that don’t address, let alone override, the problems the agreements create. And they are usually unenforceable. Labour and NZ First’s positions on TPPA and te Tiriti show that it’s businesses as usual for the Crown. They will try to shut down the Waitangi Tribunal process, while they run consultations around the motu (eg Wellington, 12 February) to promote an agreement the majority of parliamentary parties say they will support. Other processes to advance Titiri-based continue over UPOV 1991. Public meetings will be held in February in Auckland on 12th, Wellington on 14th, Nelson on 20th, Christchurch on 21st and Dunedin on 22nd. The arguments being used to promote the agreement don’t stack up for Maori or for Aotearoa/New Zealand. The parties that make up new government promised change. If they are going to deliver, their positions on TPPA have to change. NextWhat are the economic benefits for NZ of the CPTPP?